Phase 1 mini-bricks have been replaced! 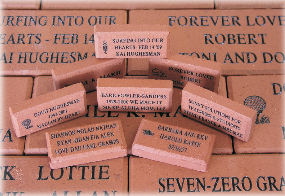 As many of you may have heard, we had an issue when a large set of the "mini-bricks" were stolen a few months ago. Those Phase One mini-bricks have been replaced, and are now available for pick up. If you are waiting for your mini-brick, you can still get it in time for Christmas! Please contact Vivian at the email address: cda at chelmsforddogassociation.org to arrange a time to pick up your mini-brick! 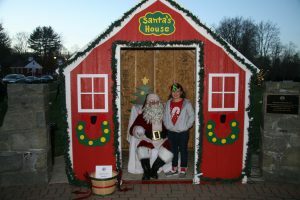 Holiday Prelude Pictures with Santa are up! Thank you to everyone for being so patient in waiting for these to be up... There were a lot of folks this year! The gallery is now up and the images are presented in full resolution for the best print quality. We're into the holidays now, and, like any other family member, your pets want to be involved in the parties! 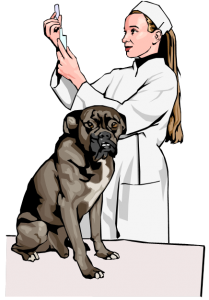 As you plan your holiday gatherings and feasts, keep your pet's health in mind. A report indicates that pet emergency services received over 8,000 calls regarding pets who ate dangerous items or were injured during the holidays last year.